You are here: Home › Why choose an electric adjustable bed? Why is an electric adjustable bed better than sleeping flat? An electric adjustable bed is one wise investment to help to prevent a restless night. 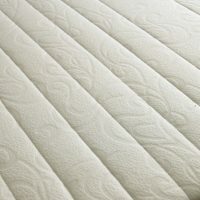 Inadequate support from your mattress causes pressure on different areas of your body, which in turn causes circulation to be restricted to these areas and discomfort. Our body response is to toss and turn to a new position to relieve discomfort. 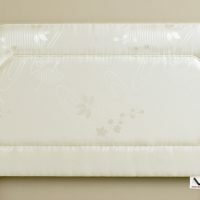 Traditional mattresses are flat and fail to give sufficient support to the lumbar region of our bodies causing improper spinal aligntment which in turn again causes pressure and discomfort. We therefore turn to a new position. It has been noted that whilst floating in space astronauts sleep with their heads slightly elevated allowing for easier breathing. Their knees naturally bend and elevate slightly above the heart. By adopting this position there is an increased blood flow to the heart and pressure is taken off the spine. Electric adjustable beds imitate this extremely comfortable position and the sleeping experience is enhanced to a whole new level. Pressure on your skeletal frame is reduced by more than 80% ensuring the most restful sleep possible. ‘Electric Bed Online’s adjustable sleep systems offer all these benefits and aim to provide a pressure free environment whilst providing the ultimate in lumbar support. There is a misconception that electric adjustable beds are for the elderly and infants. Today w ith focus on our active lifestyles, health and wellbeing the electric adjustable beds can be enjoyed by all. Whether for health reasons or simply convenience and comfort on electric adjustable bed can be integral part of your every day life. Many of us enjoy reading or watching TV in bed but on a traditional mattress it is difficult to find a comfortable position and totally relax. Unable to watch TV or read in bed in comfort. We believe an electric adjustable bed is an investment for all ages and an asset that assists wellbeing. The electric adjustable beds consist of two parts; the base and mattress, but each unit offers different features and benefits to fulfil individual needs and requirements. The dimensions of a bed frame is greater than a divan base equivalent, but the mattress required remains the same. The mattresses we sell are sized as shown below.